It’s about time there was decent content about acoustic treatment that will make a huge impact on your skills and finished product as a music producer/mixer. This will be a direct, no waffle, uncomplicated explanation of how to make big accuracy improvements across the sonic spectrum in your room. Most people producing music think nothing of spending $400 – $1,500.00 on a set of speakers. What if I suggested to you that the differences between those speakers (assuming similar driver sizes) pale into insignificance compared to what impact a similar amount of acoustic treatment could make to your skill level and results ? In fact a modest investment of $500-600.00 and some DIY know how will get you very far. 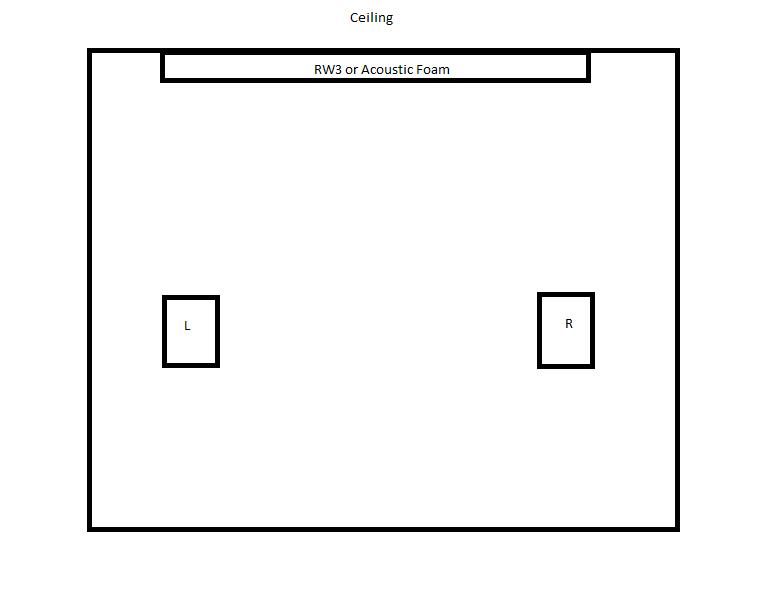 In an average domestic room acoustic problems start and end with the 6 sides of the room. side walls, front and rear and ceiling/floor. (stick with us here it is not too technical but very important!) Every set of parallel walls has a fixed distance between them where a specific frequency has the same wavelength, known as an axial mode. As sonic energy is in part (often mainly) reflected from these boundaries they quickly skew and distort the information coming directly from your monitors as the reflections interact. (they cause very complex constructive and deconstructive interference). Every untreated room will mask some frequencies and increase the apparent volume of others based on the size and shape of the room. 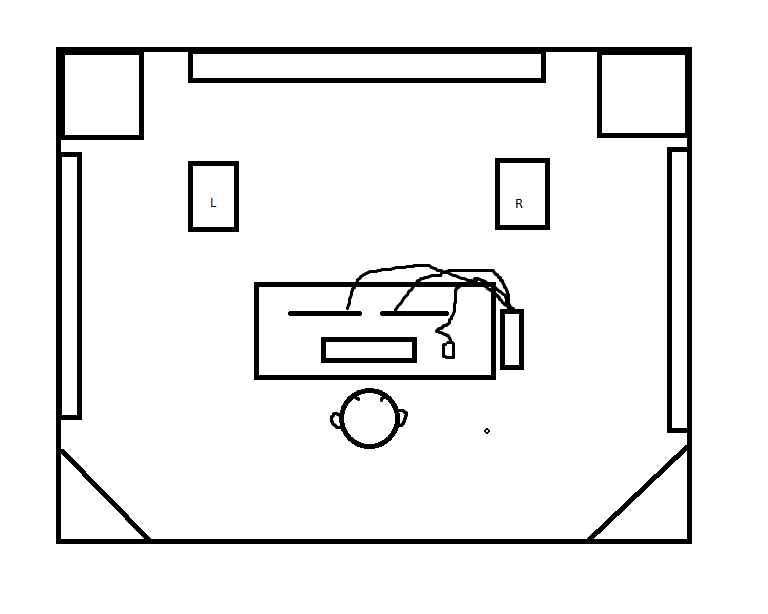 (and this also changes depending on where you are in the room so EQ can never solve the problem as it is not a static phenomena) In addition to parallel walls there are additional modes known as tangential and oblique modes which relate to multiple wall reflections and corner to corner reflections. All this produces an immensely complex and acoustically inaccurate sonic field. 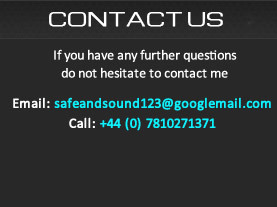 It is no wonder your mixes do not translate well and will even have an audio professional making misjudgements. The cheapest way to reduce these reflections is to try and absorb energy and stop it re-entering the area of the room where you sit and monitor the direct sound coming from your speakers. The truth Hertz : For most people it is not the expense of acoustic treatment but the sheer impracticality of loading a room up with cumbersome absorptive materials. Unfortunately it is part of the laws of physics that large masses of absorptive material are required in order to “soak up” low frequencies. These are known as broad band absorptive bass traps. (Notwithstanding more complex membrane/Helmholtz trap types) Bass frequencies have long wavelengths and as such, deep “in fills” are required to absorb this energy and convert it into heat through friction and reduce it from making its way back to your ears. Please feel free to like (Facebook like buttons top right) and share this far and wide on social media and music production forums. Even if you are not going to install this acoustic treatment knowing why your mixes do not translate well and why you have so much trouble getting your mix downs to sound right is very important for musicians and producers. We shall start with the most problematic range of frequencies for the vast majority of music producers, bass. We are talking around 270 Hz and below. 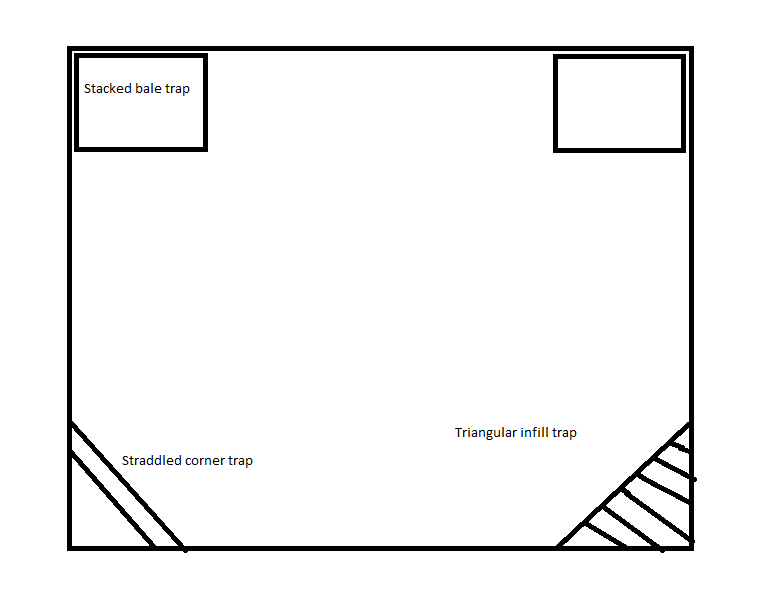 Fill the corners from floor to ceiling for maximum bass trapping. Note: Rockwool is a mineral wool blown rock type material and Owens Corning a fibre glass wool type. PLEASE ENSURE YOUR READ ALL SAFETY ADVICE ON HANDLING THESE MATERIALS. Typically this will involve wearing goggles, latex gloves and a long sleeve shirt as a minimum as the fibres shed from these materials can be irritating to skin, eyes and possibly respiratory system. Once covered they are generally very safe. Make your own investigations as to the suitability of such materials in acoustic treatment tasks. It is noteworthy that these products can give off a rather unpleasant smell for a few weeks after installation. If possible try and regularly vent the space or alternatively store the traps/panels off site until the smells have had a chance to subside. In a square or rectangular room the first and most effective way to stop as much bass as possible reflecting back into the room is to fill the corners from floor to ceiling. Ideally with an air gap behind if possible (it rarely is in a domestic room). The most common way is to create something known as a “Superchunk”. Rockwool RW3 comes in packs of 6x – 100mm x 1200mm x 600mm slabs. It is the ideal density for building corner “in fill” broad band bass traps. 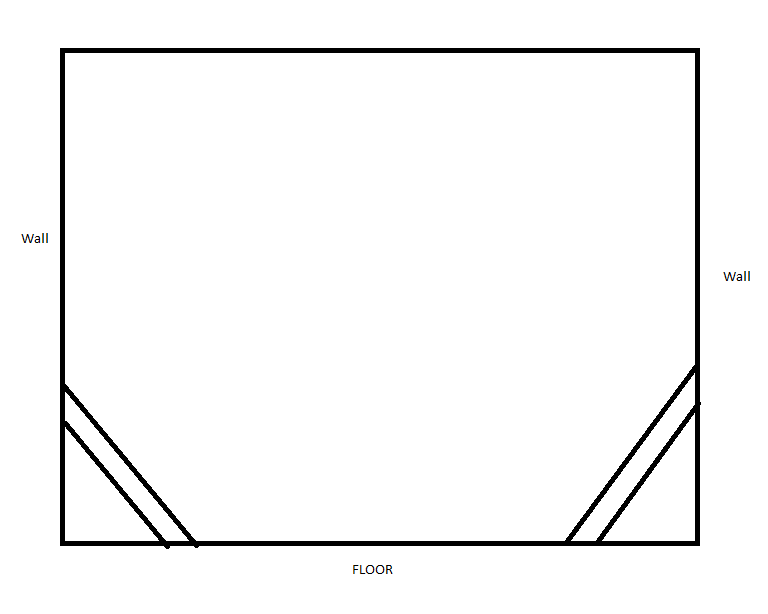 The normal way is to cut a slab into 4 triangles and stack said triangles from floor to ceiling. TOP TIP : Feeling lazy ? Then simply stack the Camira covered bales of 6 slabs of Rockwool in the corners. As a rough guide the rule is “The more the better”. You cannot really absorb too much bass. The more you turn into friction the less it reflects from the boundaries and the less it skews the low end response at your monitoring position. So place as many of these as possible in the room, always start with corners as they are easiest and impact least on space. This is in fact always best done with a tool like “room eq wizard” (currently free). However the goal of this article is not to get overly bogged down in technical detail and to give quick, easy and economic solutions to getting a better room. So you can gain skill and confidence quickly and without fuss. You want to go deeper ? Go for it, you can spend a lifetime becoming an acoustician if you desire, learning in this field is essentially unending and there are many good bed time reads on acoustics. In addition to the corner floor to ceiling infills you can place these large “bales” in various positions in order to flatten the response in conjunction with your room measuring mic and software. An alternative to stacking triangles in the corner is to make corner straddles. This is typically 1 slab of 100mm thick RW3 which straddles over the corner. (i.e. the 600mm width goes from one side of the corner to the other) Not quite as effective as a superchunk type trap in terms of converting bass energy into friction but much more economical with the materials. You will almost certainly have to build a retaining frame for these as they will be significantly more unstable and almost impossible to be free standing. The truth : Unfortunately with bass there is a very inconvenient rule and that is your broad band bass traps depth needs to be at least 1/4 of the length of the wave you are trying to absorb in order to make serious absorptive gains. Clearly this means the deeper your traps the better at absorbing bass and deeper frequencies and in the typical room the more impractical they are to build and install. But do not despair, all trapping helps and digs into those annoying reflections and makes your mix easier to judge. So armed with this information if you are serious about your music make the biggest bass traps that are practical for your circumstances. I cannot over state enough. This will revolutionise what you hear and the speed of your progress when it comes to making mixes that translate. Way more than a new set of monitors ever could. Of course better monitors are by definition, better, but when it comes to acoustic treatment the gains are huge compared with a monitor change (with similar size cabinet and drivers and assuming not the absolute cheapest monitors are being used). When it comes to mids and highs you have already absorbed some mid and high frequencies in the corners with the bass traps above (though mids and high are more directional than bass frequencies). The most important area to treat next is the side walls. In this diagram you can see approximate positions for side wall absorbers. A typical treatment here will once again be Rockwool or RW3 or the equivalent product in your country. We are talking single slab thickness (100 mm) if you can fit 2 slabs depth of 200mm then it is even better but 100mm makes a very good practical and audible solution here. You can add a little air gap behind for even more absorption at slightly lower frequencies. The side wall absorbers are going to allow much greater definition in the mid range, clarity and have a huge impact on the stereo imaging. It will make panning/balance positions much easier to judge and evaluate. Again, simple pine wood surrounds with a Camira fabric covering is perfectly adequate. If you can get handy with a saw and screws/wood glue you are going to save thousands of dollars over commercially available products ! Just be careful and safe. Simple “L” brackets can be used to mount the frames on the wall. It is well understood that hanging large slabs of Rockwool RW3 though ideal can be both awkward and impractical for many in a domestic situation so you may wish to investigate good quality foam tiles. The thicker the better but of course with consideration to budget. A reasonable recommendation in the UK would be the “Studiospares Acousticheck 30” tiles a good compromise between economy and effectiveness for such purposes. At this stage it is worth considering acoustic comfort. As more and more absorptive material is put into the studio it will sound more and more “dead”. To a degree this is a taste and comfort related issue. Some engineers are more accustomed to this “dead” acoustic than others. If you find that your room becomes acoustically oppressive then you might need to brighten it up a little. You can find low cost polystyrene diffusers that can be attached to various absorbers to live the room up. An alternative, and I almost hesitate to use the word bass.. “foam bass traps” can be utilised in the ceiling to wall right angle. However unfortunately the average facia size of these foam traps is around 40cm and the depth 23cms. By any stretch of the imagination these are not going to trap much, if any bass. In fact they almost definitely need to be doubled in order to become, even “lower mid range traps”. You can double up foam traps by using silicon sealant… this is relatively low odour (clears up in a few days and gives a strong adhesion but can also be separated in the future if need be) Then you will start to see some useful absorption around the 280Hz and above areas (it will trap a very small amount of bass too). And given the importance of getting lower mid range right in a mix this is a useful improvement indeed. Again the bigger the facia and deeper the treatment the better. Allow practicalities to guide you here. 1) Do consider isolating your monitors from their supports using neoprene pucks.. they can be found on Ebay as a “hi-fi tweak”. This can reduce table tops/stands etc. resonating in sympathy with your speakers. Dedicated monitor stands are a worthy investment. 2) If you cannot go down the entire route of full acoustic treatment try monitoring more quietly and much closer to the speakers – 40cms or so if possible. (I hasten to add with the Fletcher-Munson equal loudness contours firmly in mind) This will reduce the amount of sonic energy being dispersed into the room. (and thus reflections will not be so apparent) Along with your ears getting more direct vs reflected sound waves. 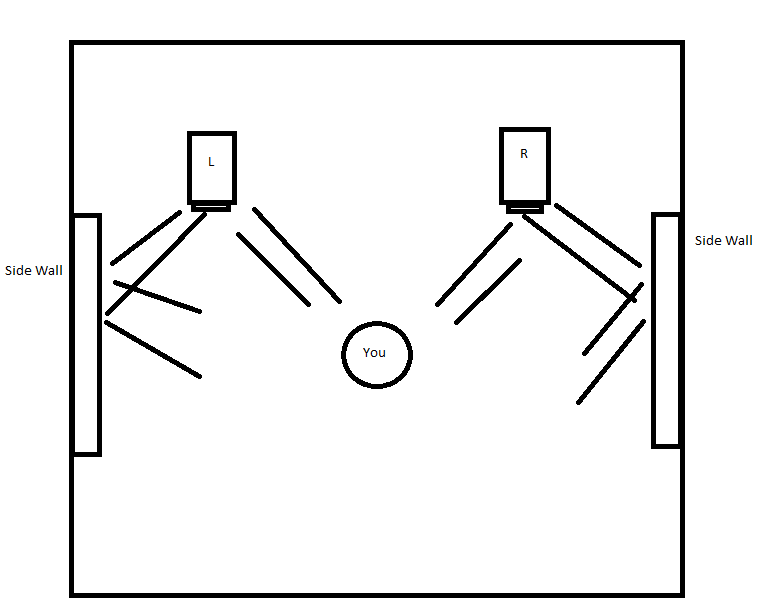 3) Carefully consider where you position your speakers, the ideal being the speakers forming an equilateral triangle with your head in the monitoring spot. Try to have the speakers a similar distance from side walls (mirror image). It is generally accepted they should ideally point down the length of your room. The above is a no nonsense and relatively non technical starting plan for making quick, cheap and real impacts into your rooms acoustic problems. From here on you can start refining the room response Ad infinitum using REW (Room eq wizard) should you need to. Experimenting with diffusers and more bass traps (maybe some Helmholtz resonator type) and absorbers, measuring and moving said treatment into the most effective spots for any perceived or measured problem. The vast majority of domestic / home producers will find the above type of acoustic treatment will be truly revolutionary in terms of mix down quality and progression of your abilities. Your skills, confidence and end results will go through the roof ! If you plan very deep traps for the most effective broadband bass trapping (I have some traps almost 2m deep here) you need to take into account gas flow resistivity. In essence as a trap gets deeper/thicker there becomes greater resistance to air/sound waves penetrating deeply into the absoptive materials. As such with very deep traps it can be useful to start lowering the density of the material. i.e. 45kg/m3 (RW45) insead of 60kgs/m3 (RW3). If you are just infilling or straddling corners the optimal is still 60kgs m3. But adding any more depth and you should start considering 45kgs/m3.